In today’s digital age there is no shortage of ways for prospective car buyers to connect with automotive retailers. Consumers can complete a short online form to receive more detailed information on a car or establish a dialog with the retailer site’s chat function. These are great communication starters, but the tried and true act of making a phone call is still considered the most valuable path to eventual conversion. And we live in a mobile obsessed society, where making a phone call is as easy as pressing a number on a screen. • Google studies have found that nearly half of mobile consumers searching on their smartphones are more likely to explore other brands when they can’t call a business directly from their search results. 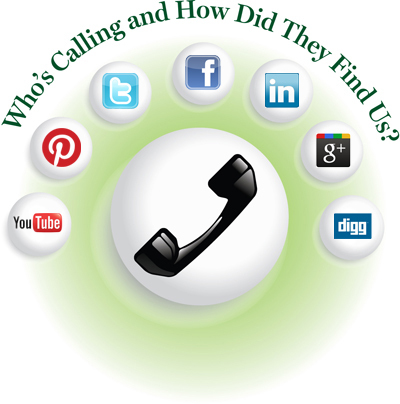 • Click-to-call usage on mobile devices has increased exponentially in recent years, and call tracking analytics companies now drive more than 40 million calls per month in the United States from Google AdWords. • 71% of most advertisers search engine conversions occur on phone calls. Tracking phone calls is important for every retail business, but it is especially important for businesses involved in high investment purchases such as car or home purchases. Integrated Pay-Per-Click type mobile ads as part of your digital marketing campaign allows you to track every one of your phone conversions and have the ability to listen to any calls on a 24/7 basis.